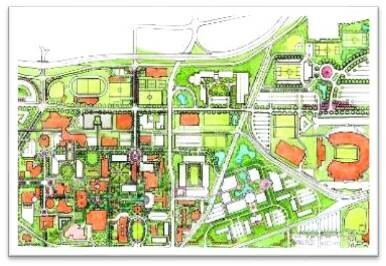 Developing plans for campus growth and improvements which reflect our commitment to sustainability. The 287-acre Belknap Campus is three miles from downtown Louisville and houses seven of the University's 11 colleges and schools. The Health Sciences Center is situated in downtown Louisville's medical complex and houses the University's health related programs and the University of Louisville Hospital. The 243-acre Shelby Campus is located in eastern Jefferson County. It houses three university buildings as well as a growing business park managed by the UofL Foundation. 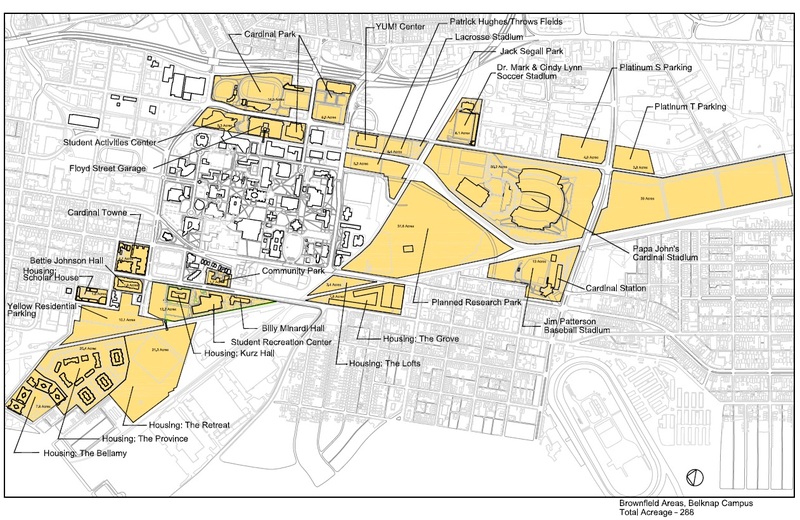 In November 2009, the UofL Board of Trustees approved a revised master plan for the main Belknap campus which integrates sustainability considerations such as brownfield redevelopment, storm water infiltration, green spaces, and promoting transportation alternatives through improved planning for pedestrians, cyclists and bus riders. The links below will take you to more detailed information about these issues. As of spring 2015, UofL and our affiliated student housing partners have redeveloped 288 acres of brownfields as we've grown our main Belknap campus. These were former industrial or commercial sites that had varying levels of environmental contamination and were a blight on the community.